Home» Ap new gos » AP GO.NO:34 Parallel Degree Employability Programme for Degree Students. AP GO.NO:34 Parallel Degree Employability Programme for Degree Students. 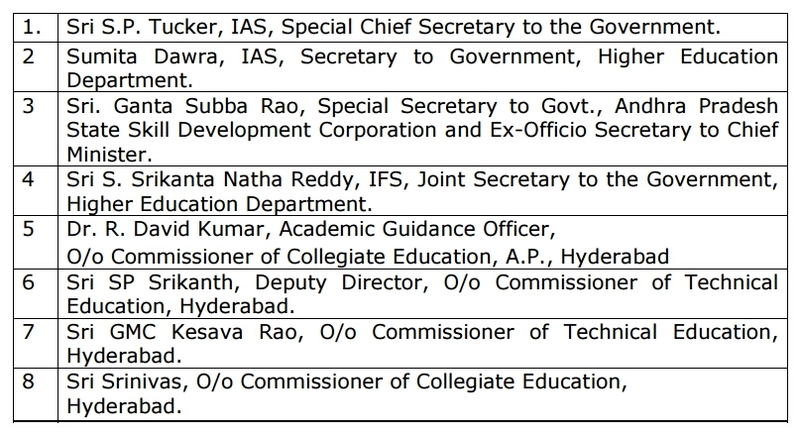 AP GO.NO:34 Higher Education – Parallel Degree Employability Programme for Degree Students - MOU with TISS – Constitution of Steering Committee – Orders – Issued. Read :MOU between TISS & GOAP, dt.05-09-2015. 1.The Government of Andhra Pradesh has entered into a Memorandum of Understanding [MOU] with TATA Institute of Social Sciences, for strategic collaboration in the fields of strategic planning; training & capacity building; develop research & documentation and knowledge management. The said MOU is effective from 05-09-2015 and the partnership will last for three years. In terms of the MOU a Steering Committee has to be constituted for over all guidance and necessary approvals to effectively implement interventions as part of the partnership and review its project goals and deliverables. The Steering Committee comprises representatives from Government of Andhra Pradesh, Tata Institute of Social Sciences (TISS) and other eminent persons in the partnership. 2. 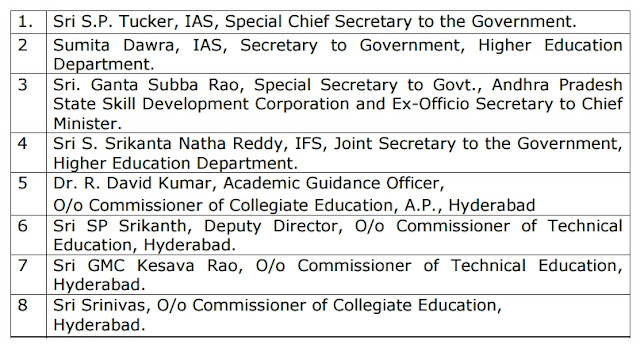 In order to realise the above objectives and goals, the Government of Andhra Pradesh hereby order constitution of the Steering Committee with the following members. Chairperson, School of Vocational Education, Tata Institute of Social Sciences, Hyderabad ... Member. 3. The Steering Committee shall meet at least once every month to review the progress of the partnership against the results, indicators and approve the quarterly outlook of activities/budgets. The Steering Committee will sort out the impediments to ensure smooth implementation of the partnership. 1.A review meeting was held on T.I.S.S.–MoU (Andhra Pradesh Parallel Degree Employability Programme for Degree Students) at Cyber Ganga Hall, L B lock, 5th floor, A.P. Secretariat on 08-01-2016 at 4.00 PM. • The Special Chief Secretary asked to have different kinds of programmes on soft skills keeping in view the requirement of students who may suffer low self esteem and to prepare detailed Project Report. • To go for more number of online courses. • To link the project Bhodi to AP Knowledge Mission website. 1. Dr. R. David Kumar, AGO, O/o CCE, Dr. G. Srinivas, Academic Officer, O/o CCE, AP., Hyderabad. 2. Dr. P. Anil Kumar, Academic Officer, O/o Commissioner of Collegiate Education. 3. Mrs. Vimala Rodhe, Academic Officer, O/o Commissioner of Collegiate Education. 4. Dr. S. Sharwani, Academic Officer, O/o Commissioner of Collegiate Education. 5. Sri G.D. Rajender, Academic Officer, O/o Commissioner of Collegiate Education. 6. Sri S.P. Srikanth, Deputy Director, O/o Commissioner of Collegiate Education. 7. Sri GMC Kesav Rao, Deputy Director, O/o Commissioner of Collegiate Education. 9. Miss Aparna, Consultant, Department of Planning. 10. Miss Prachi, Consultant, Higher Education Department. 11. Miss Rana, Consultant, Higher Education Department.